The Sealander Cara-boat is a newly designed travel entertainment container which suits a family requirement. 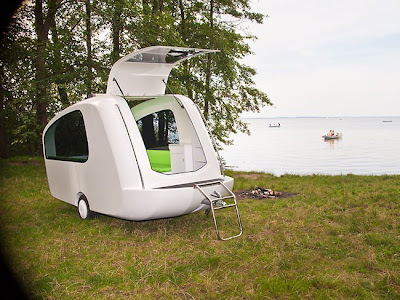 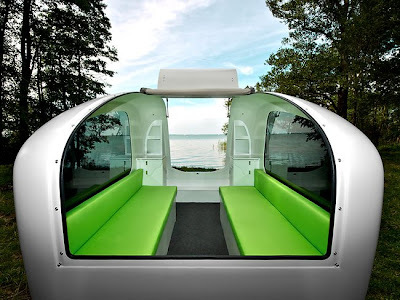 This boat extends the enjoyment of camping and leisure. 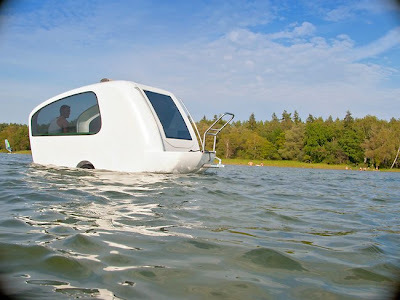 It has a double hull, meaning that if it springs a leak only the sub-floor will fill with water. 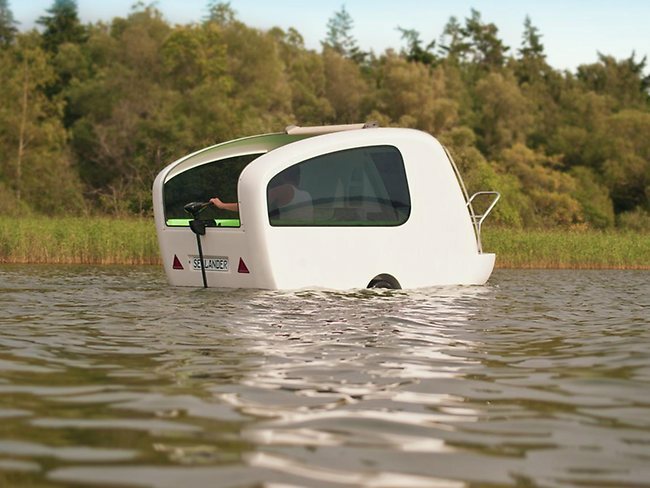 A road trip doesn't have to be the end of the road; you can pull the Sealander into the water and continue on your holiday. 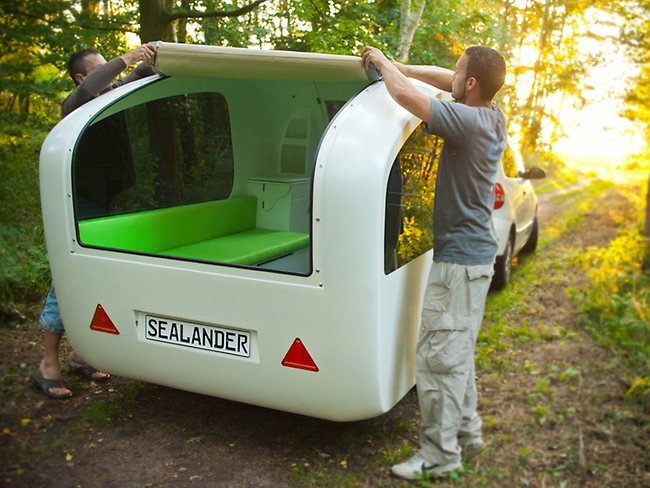 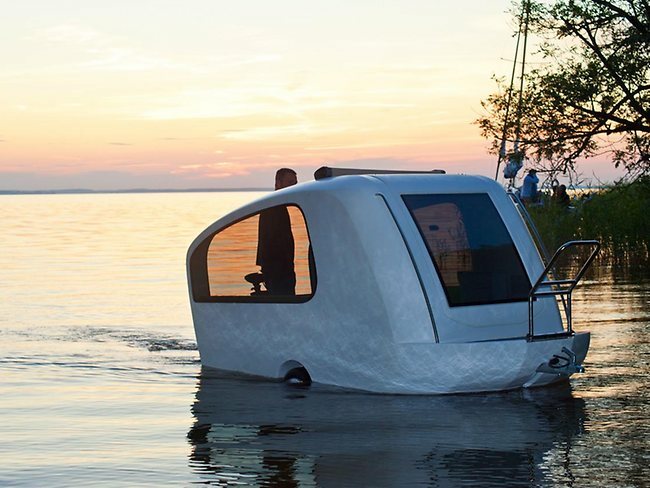 The Sealander include cooking, cleaning, eating and sleeping facilities and can move around on the water due to its electric motor. 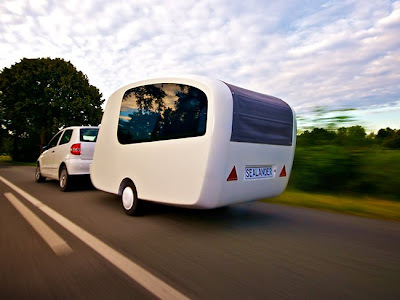 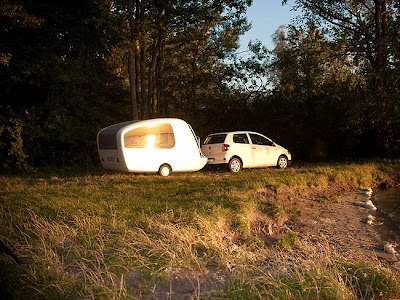 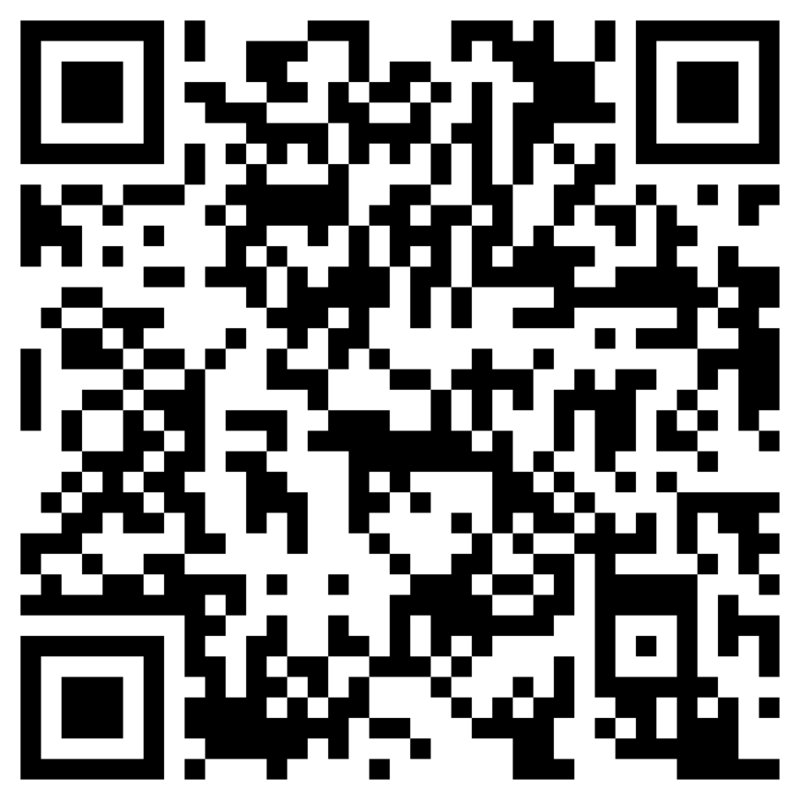 It promises to combine the pleasures of camping with cruising in a single holiday. There have been numerous designs for cars crossed with boats, but amphibious craft have been most commonly used for search and rescue, and in the military.